The Republic of Maldives is an island country near the equator in the Indian Ocean, consisting of more than 1,000 small islands and adjoining reefs. All islands are very small, often only a few hectares. They generally rise only about one meter above sea level. Most islands have extensive reefs, often much larger than the islands themselves. 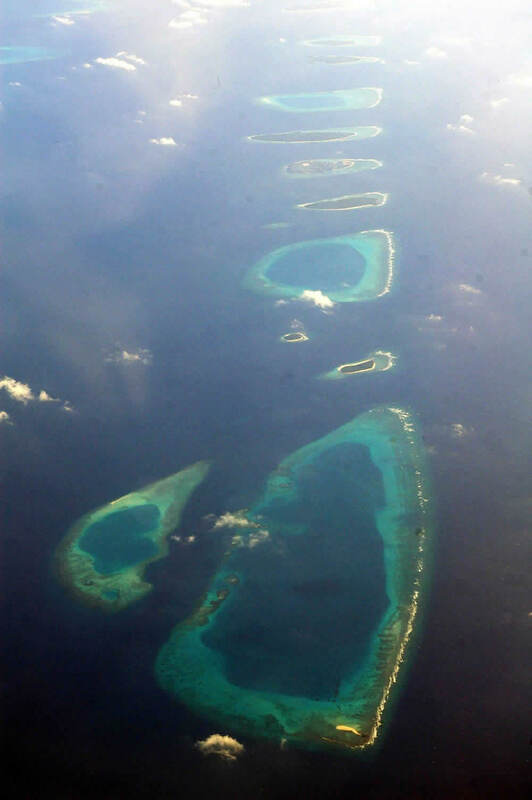 The total land area is only some 300 square kilometers in a sea area of some 90,000 square kilometers. Some islands were already inhabited in prehistoric times and from around AD 1550 various islands were colonized by various European powers. In 1965 the country became independent. All islands have a tropical climate. The rainy period is generally from May to November. 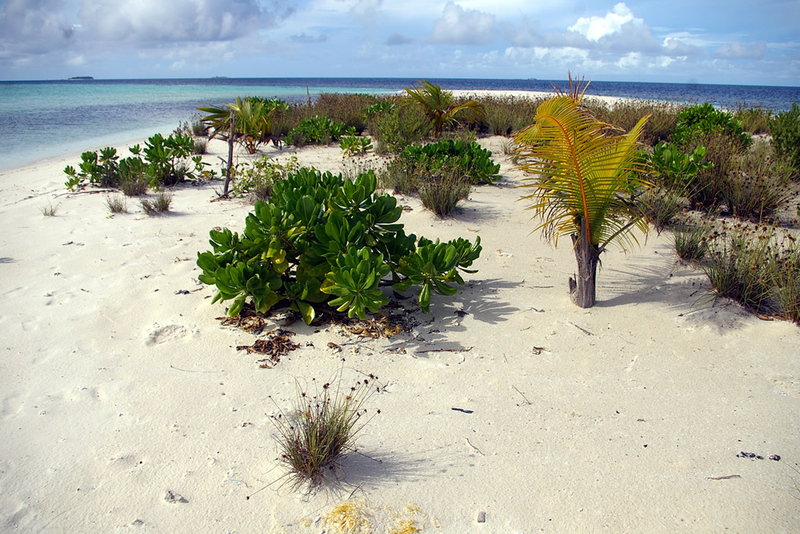 The islands consist of coral sand, with various trees (including fruit trees) and shrubs. Of course, there are buildings and harbors on the inhabited islands. Cultivated land is, of course, very scarce. The total population is about 400,000, of which about 100,000 in the capital of Malé; a remarkable capital on an island of about 200 hectares with many skyscrapers. The major sources of foreign revenue are tuna exports and tourism. There is a strict division between the inhabited (or "local") islands and the tourist resort islands. The resort islands are very popular by international tourists. The major tourist attraction is diving. In my view, a boat- safari is the best way to see the country; this is what I did myself.